Astrologers know that a person born under a given Sun sign – whether he’s a Gemini, a Virgo, or an Aries – has specific traits that make both his desires and his actions predictable. Linda Goodman, the talented young astrologer who has made frequent appearances on the David Susskind television program, has devised an exceptionally lively primer to help everyone understand these fundamentals of astrology. We have two great vintage copies of Linda Goodman’s Sun Signs currently in stock. The hardcover is $8.00 and the paperback is $4.00. Find them on display in our summer hippie boho window! 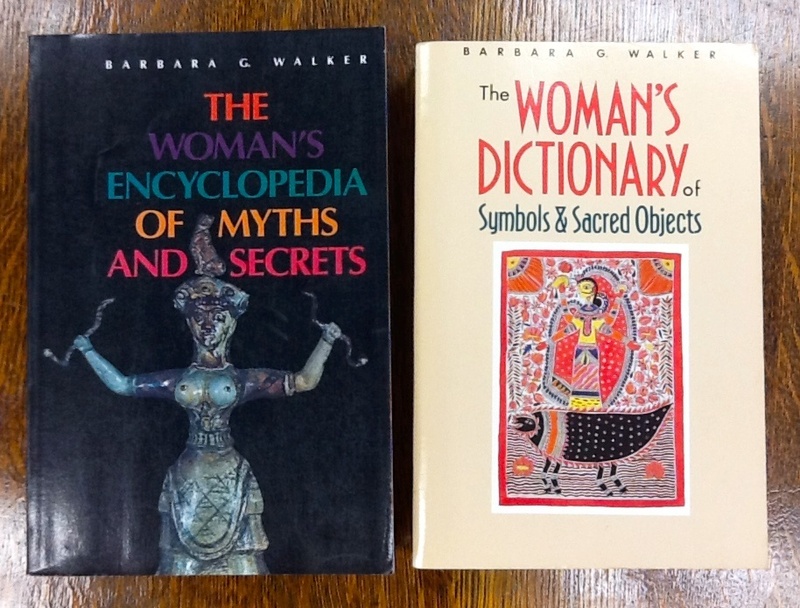 The Woman’s Encyclopedia of Myths and Secrets, trade paperback ($13.50); The Woman’s Dictionary of Symbols & Sacred Objects, trade paperback ($10.00). 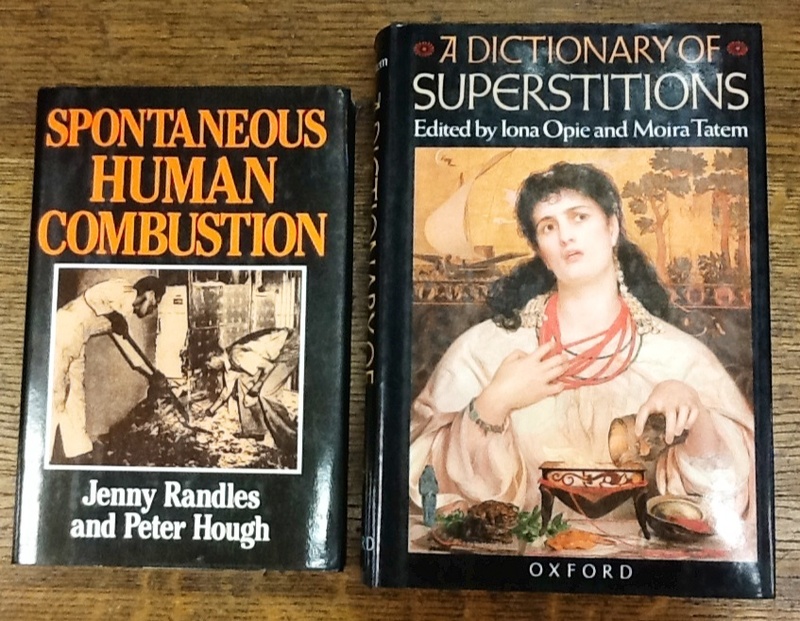 Spontaneous Human Combustion, hardcover ($7.00); A Dictionary of Superstitions, hardcover ($14.00).